Are Corsets Meant to be Worn Over or Under Your Clothing? Imagine the bright eyes and vibrant smile of the young girl who wore this fairy tale corset to her prom. The whimsical flowers offer a constant reminder of her undiluted innocence, while the fully feminine sweetheart neckline and the classic hourglass waist tastefully showcases her transition from youth to womanhood. Worn with a matching A-line skirt, she was unforgettably beautiful and mesmerizingly enchanting all at once. 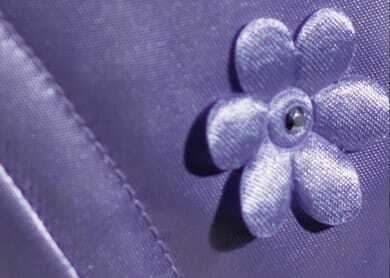 Read more about Lilac Sweetheart’s sweet story in Corsets & Cupcakes. This corset was custom-tailored and is not for sale. The listed price is an estimate. Prices are affected by service level, market price for materials, import/availability limitations and material volume. © 2017 Champagne Corsets & Designs. All rights reserved.